For several years, Patcharee ‘Amy’ Vatcharawipakorn used exercise as her sole method of being healthy. Exercise did help her lose weight, but difficulties in conceiving a child with her husband had her questioning her lifestyle. 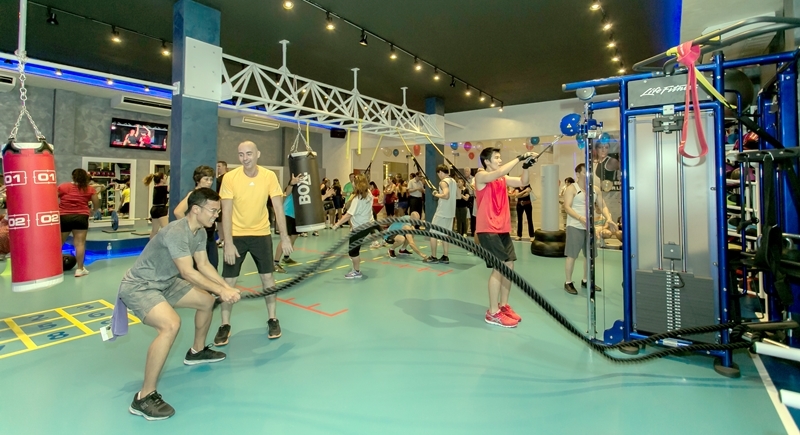 RPM Health Club will be holding a second challenge which will start May 1. As the Membership Manager at RPM Health Club at Royal Phuket Marina, Amy had spoken to Health Club Manager Hayden Rhodes about her issues, and Hayden recommended, back in December 2015, that she join a ‘21 Day Health Challenge’ he had already devised for close to 30 members of the club. The program is focused on bolstering energy, reclaiming health, and losing body fat. Hayden went onto say that the challenge consist of three parts; movement, food and sleep. And for 21 days, participants focus on how they move; what, where and how they eat, and whether they are sleeping on time. A key part of this challenge was being conscientious of food intake and showing Hayden their breakfasts so that he could monitor their progress. Each day, participants were to partake in 15 minutes of movement, broken down into five, three minute sessions, the directions for which Hayden posted daily videos for. “There was specific times these movements had to be performed based on what times they were eating. This allows blood sugar and glucose levels to stabilise,” said Hayden. Sleep was also an important factor within the 21 Day Challenge, and although each individual's sleep requirements differs from the next, Hayden explained that sleeping earlier helps synchronising the hormonal system, which also bolsters overall health and body fat reduction. Amy realised that the challenge had had positive results: significant improvements in her metabolism and she was pregnant with her first child, conceived on the last day of the challenge. Shenow knows the right things to eat, that movement is crucial, and that sleep augments health. Hayden believes that the challenge stabilised Amy's blood sugar levels, causing a definite change in Amy's insulin production and is most likely to have contributed to her conceiving. Following the success of the first 21 Day Challenge, RPM Health Club will be holding a second challenge which will start May 1. If you're looking to boost your health, please contact the club on 076 360 885-6 or visit rpmhealthclub.com. RPM Health Club has also launched Anti-Aging Holidays: a personalised 30 day anti-ageing program, where proven techniques help participants re-energise mind and body. For more information visit antiagingholidays.com. You want to shed fat and look like these men? It DOES NOT matter how many times or how long you go to the gym for. If you aren't eating the right foods and following a diet plan, you WILL NOT LOSE WEIGHT. Losing weight consists of 80% Food and 20% exercise. It does not matter how much exercise you do, if you're eating a lot of junk food you will fail.